Paddle holsters are convenient, accessible and easy to wear. Many gun owners have interpreted that simplicity to mean the holster will lack retention and customization, but the ShapeShift Ruger LC380 paddle holster is built with durable, secure materials that adapt to the open carrier's preferences and lifestyle. 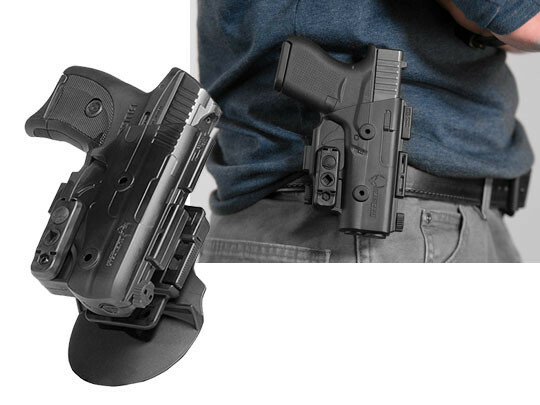 It's a modular holster that can be reconfigured into other carry systems. 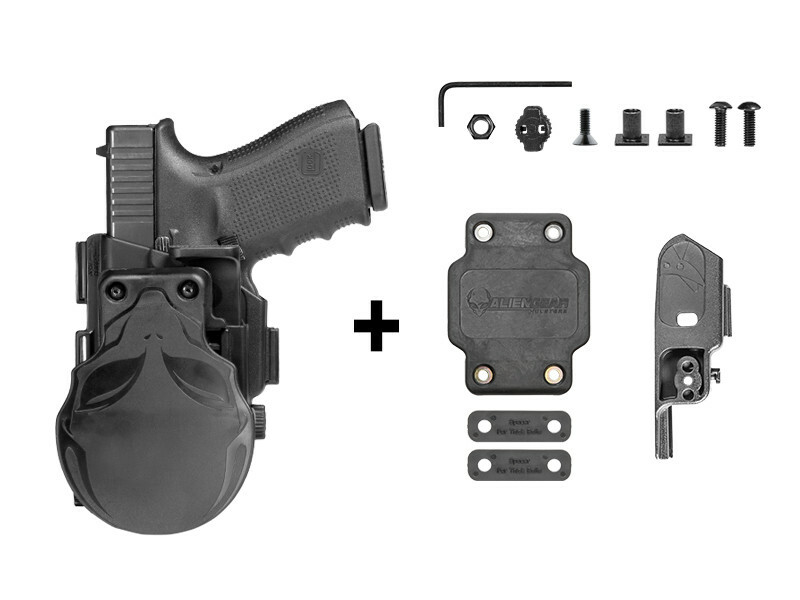 By uninstalling the paddle clip, the Shift Shell can be mounted to the other ShapeShift backers for classic IWB carry, an appendix IWB or an OWB belt slide. 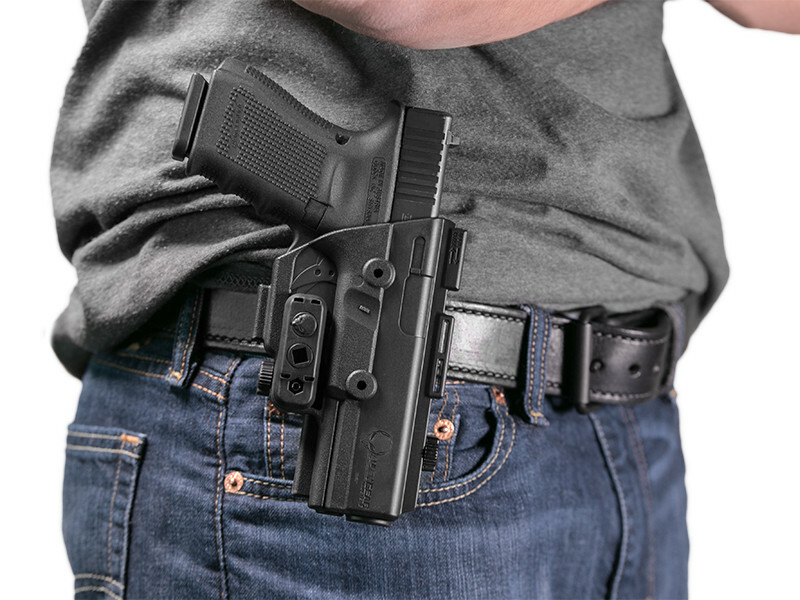 The holster's passive retention can be controlled for a tighter or looser hold by installing an adjustable retention unit. 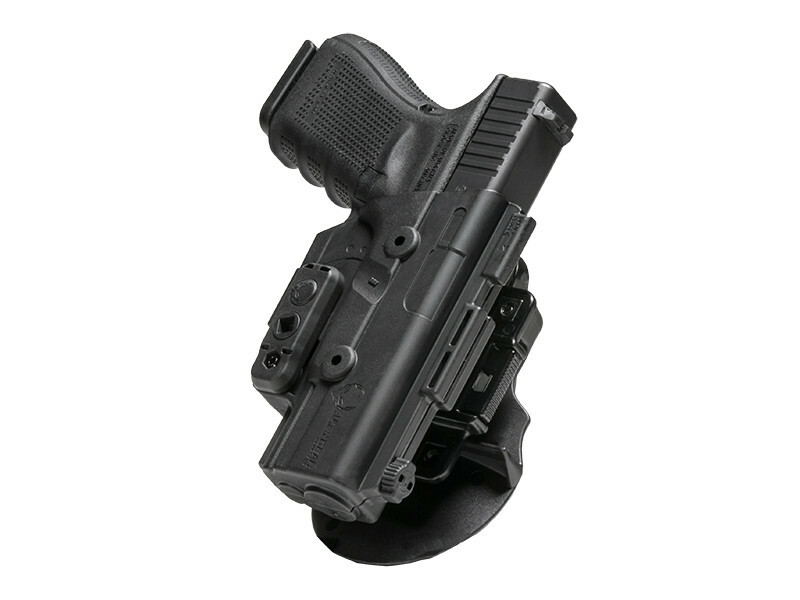 The OWB paddle holster also has an active retention thumb release. The paddle clip has a retention lip to secure it to the waistline. 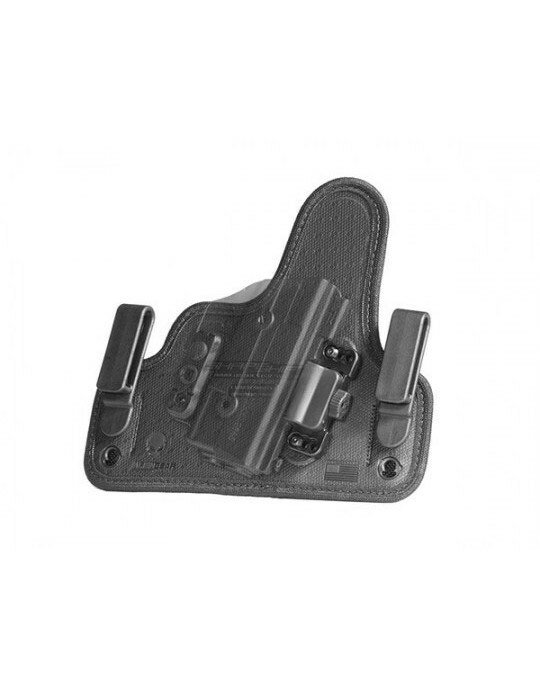 The holster's cant can be adjusted in 12-degree increments up to 360 degrees. The low-profile shell is made from injection-molded polymer to fit the exact dimensions of the Ruger LC380, completely enclosing the trigger guard and part of the slide. The shell can be stored off the body in a secure location with the holster mount. By engaging the quick release on the paddle holster, unclip the shell from the paddle backer and transfer it to the ShapeShift Holster Mount, which can be installed on walls, nightstands or any other secure surface. All the ShapeShift paddle holster parts are made in America to durably withstand daily use. However, they're covered by a lifetime warranty. If there's ever an issue, we'll repair or replace the holster free of charge. We offer a 30-day test drive — see if it meets your carry style. If it doesn't quite work out like you expected within 30 days, we'll buy it back from you. No questions asked.